Have you ever been inspired to love your country by someone who is not even from your country? Some interesting characters contributed to the colorful discussion of the 38th Edition of BarCamp Prishtina. 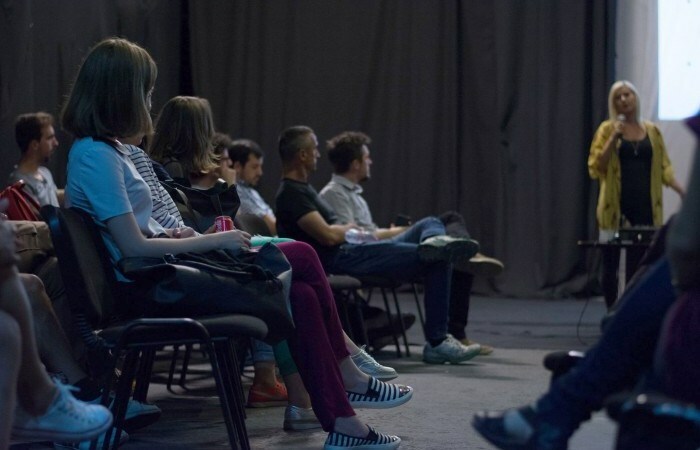 Tourism is one of the most important areas of a country’s growth and integration and, as such, three key speakers who contribute to tourism were invited to speak at BarCamp Prishtina at Oda Theater. With a different perspective on Kosovo, the speakers of this edition came equipped not only with a huge baggage of experience, but also with an unending and undying love to see the country of Kosovo grow. Larissa Olenicoff, or “The Blonde Gypsy” as she is known online, blogs about the countries she visits and her talk was focused on how to best get the experience one needs in order to write about the beautiful parts of each visit in each place. Having visited and written about many of the countries of the Balkans, Larissa explained to the audience how to motivate themselves to write proper blogs, and one day, to even create an income from blogging. In order to set oneself apart in the blogging world, which nowadays is quite large, one must give a special take their writing that sets them writing apart from other writers. “If you want to get ANYWHERE in life – whether that is in blogging or in whichever area in life – you need to network. Networks are crucial, and I can’t stress enough how important it is to network” explained Larissa from her previous experiences. Nazmi Hasanramaj, from Klubi Alpin Prishtina, explained that there is no real line of where tourism ends and mountain climbing begins. Mountain climbing is so deeply weaved into tourism, that according to Nazmi, it is hard to develop tourism without having ways of enjoying the beautiful surrounding mountains of a country. With a network of organizations with the same aim, Nazmi invited the participants to become part of the mountain climbing community and test their limits in awesome mountains. Nazmi had some very important information to deliver to the audience about as far as what mountain climbing concerns: “Now don’t get me wrong, climbing mountains is not an easy task especially in some areas where the peaks are really high. The point is to form a group we you trust and to encourage each other”. Chelsea Charles showed us that even someone not from your country can teach you to love your country. “To understand why we at Buffalo Backpackers love Kosovo, I have to tell you my story! Hear me out.” The decision to visit Kosovo full of uncertainty, Chelsea explained passionately to the audience, was one of the most beautiful things she did with her life. The Buffalo Backpackers Hostel had humble beginnings, but is now a fruit of love and labor for Chelsea. She loves hosting guests and giving them experiences to remember a lifetime, and believes that originality and sincere hospitality are the key to success in the tourism world. One of the main reasons Chelsea is in Kosovo is the friendship that was shown to her when she first came to Kosovo, and she has decided to nurture and grow that love for Kosovo ever since. Excited and motivated, the participants asked many questions about blogging, mountain climbing, and even the business side of hospitality, after Chelsea concluded her inspiring story. Until the next edition of BarCamp, remember: You need to love and develop your country, before anyone else can love and develop it.